UNISON is the UK’s largest health union. 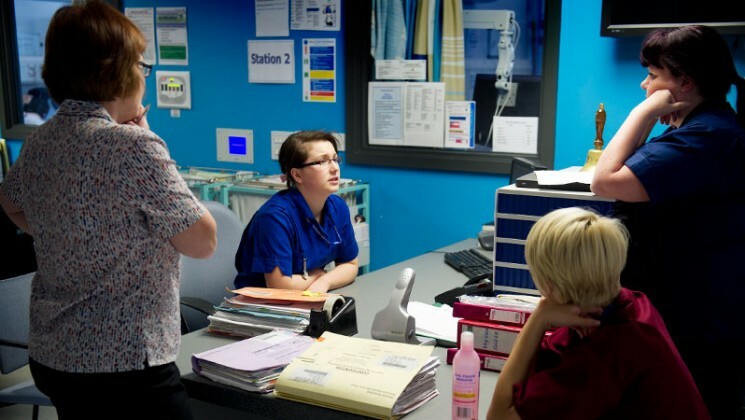 We represent the whole NHS and health team: nurses, student nurses, midwives, health visitors, healthcare assistants, paramedics, cleaners, porters, catering staff, medical secretaries, clerical and admin staff and scientific and technical staff. Our local reps offer help and advice at work, and we will support you in raising professional or local concerns as well as highlighting issues affecting all health workers at a national level. We work together to make sure our members’ concerns are heard – whether it’s pay, health and safety, discrimination or the future of our NHS. If you have a problem, you can always talk to your local UNISON rep or branch. We also offer members a wide range of services including legal help at work and home, debt advice, and discounts on holidays, events, days out and insurance. As part of your membership of UNISON we offer our members in health and social care professional indemnity insurance. This is a very important benefit as indemnity cover is now a legal requirement if you are on a professional register. Join now and get the support of the UK’s largest health union with you at work. We are the trade union that represents all ambulance staff, whatever job you do. That includes mechanics, technicians, paramedics, control room staff, administration staff and more. UNISON has a number of important partnerships with specialist health bodies and organisations. UNISON is the lead negotiator among the new NHS bodies following the reorganisation of the service in England following the passing of the Health and Social Care Act.